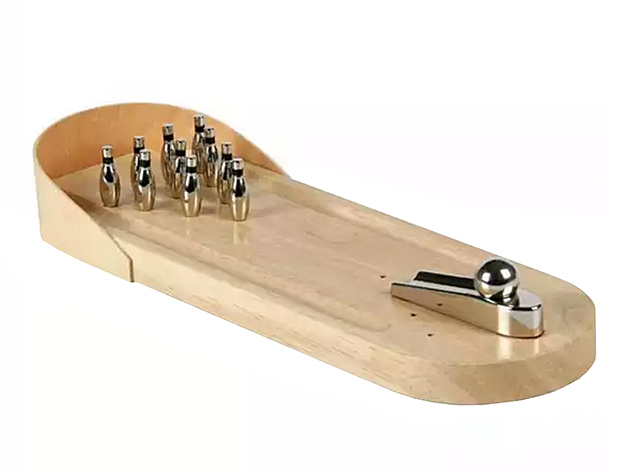 The Kingpin Desktop Mini Bowling Alley by Sky Innovations, features 10 bowling pins and a metal bowling ball, It is available to purchase from the Laughing Squid store for $39.95 (50% off the retail price) with free shipping. 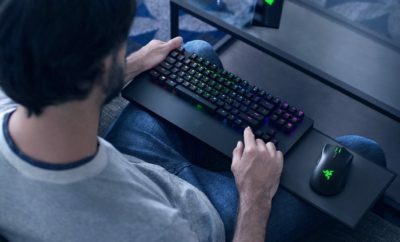 You don’t even have to leave your desk to become the kingpin ’round these parts. Beat the workday stress with this mini bowling alley that fits right on your desk. Made of beautiful, all-natural wood, this foot-long alley comes with metal pins and a metal ramp to aim your bowling ball to hit the strikes and save the spares. Work just became a lot more fun.